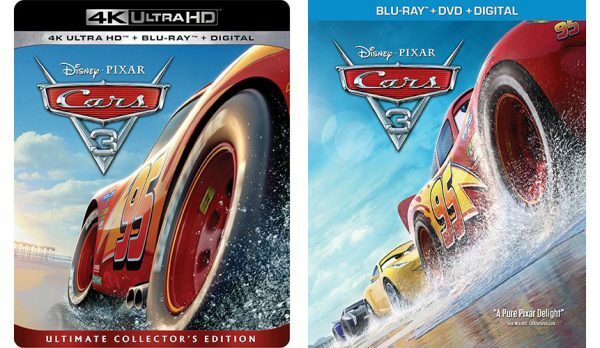 Amazon does, however, have some copies of Cars 3 on 4k Blu-ray priced at $27.99 (see updated Amazon pricing below), but for how long nobody knows. Or, head over to Best Buy, Target or Walmart. They all seem to have plenty of inventory available, and, if you find they have sold out copies of Cars 3 in-store they will likely be able to order a copy and have it shipped to you. This isn’t the first time Amazon hasn’t been able to stock Disney titles. Pirates of the Caribbean: Dead Men Tell No Tales and Guardians of the Galaxy Vol. 2 were both recently sold out or unavailable on Amazon upon release date.